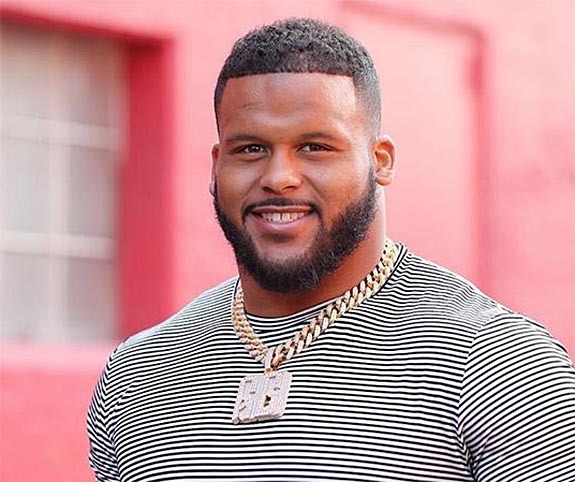 Dominating defensive tackle Aaron Donald of the 11-1 Los Angeles Rams signed a record-breaking $135 million deal in August and rewarded himself with a custom “AD/99” diamond pendant hanging from a 14-karat gold Miami Cuban-link chain — a chain that weighs more than 1.5 pounds. 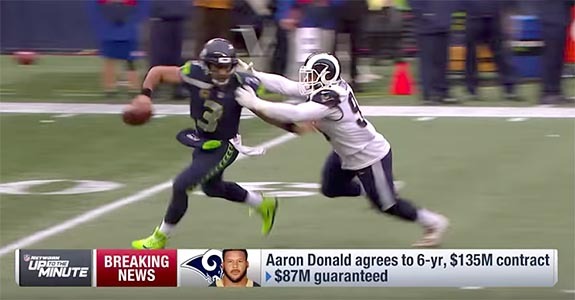 The 6’1” 280-pound frontrunner for Defensive Player of the Year is hoping his new good luck charm will lead the surging Rams to a Super Bowl appearance. His team clinched the NFC West title yesterday with a 30-16 victory over the Detroit Lions. 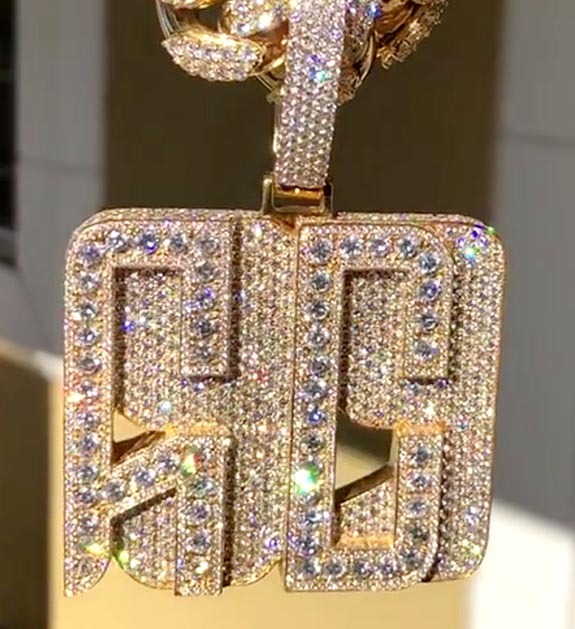 The NFL sack leader turned to Instagram to post photos and a video of the new jewelry, which features the stylized initials “AD” encrusted in VS1-clarity colorless diamonds. The “AD” overlays a “99,” Donald’s jersey number. The diamond total weight of the pendant is 20 carats, according to TMZ.com. Since making his debut in the NFL in 2014, Donald has terrified opposing quarterbacks with his speed, strength and relentless pursuit. He was named the NFL’s Defensive Rookie of the Year in 2015 and earned the title of AP’s NFL Defensive Player of the Year in 2017.